Last week, the United States began imposing the first and second rounds of sanctions on Russia. They include restrictions on individuals close to President Vladimir Putin and powerful, capital-garnering companies, who now face severely curbed access to global markets. Russia, in turn, responded by enlisting their own set of sanctions including, oddly enough, Speaker of the House of Representatives John Boehner, and Senator John McCain – two staunch Republicans with little allegiance to President Barack Obama. Despite the disproportionate exchange, sanctions have placed the situation delicately at a crossroads between the road to diplomatic progress, and an arrant embargo. Delicately poised and deeply entrenched in discussions over sanctions are Iran and six global powers – the US, China, Britain, France, Germany, and of course, Russia. 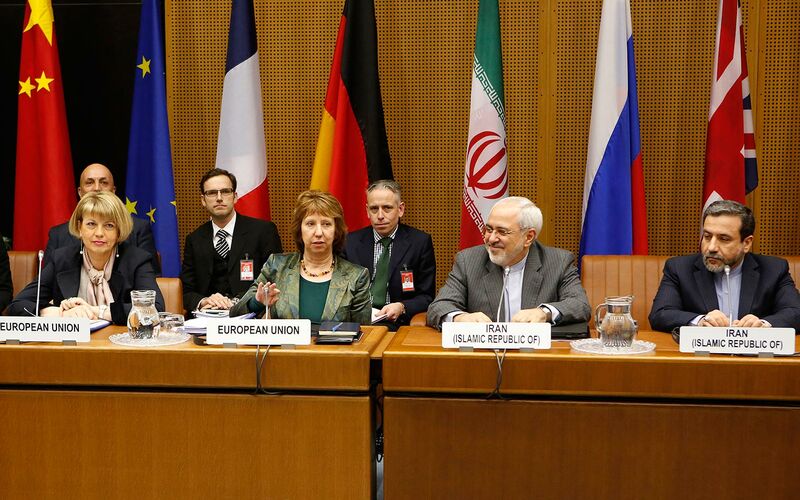 Led by the EU’s Foreign Policy Chief, Catherine Ashton, recent talks in Vienna on Iran’s nuclear program have proved substantive with a hint of promise, at least according to Iran’s Foreign Minister, Mohammad Javad Zarif. Zarif is confident and at times boisterous in his belief that the two sides can progress the interim deal, fostered in November into a lasting accord by July. If we see this as a rare positive outcome in a myriad of recent diplomatic breakdowns, then Zarif, himself educated in the United States, is a symbol of it. Writing in the Financial Times, Zarif reiterated that Iran’s pursuit of nuclear energy is solely for peaceful purposes. He continues to sustain the fact that “coercion, pressure and sanctions only result in more centrifuges, more resentment and deeper mistrust.” In saying this, Zarif represents a more reformist, or at least moderate, Iranian leadership, capable of integrating EU and US forced concessions for the sake of stability. However, one aspect overlooked by Zarif’s cordial rhetoric is the fact that centrifuges and mistrust are not analogous counteractions to sanctions. The former is a result of the latter. Now though, mending decades of mistrust does not un-do years of developing energy technology that can be reconverted into nuclear weaponry. Zarif himself declares in the same FT article, “Iranian scientists have mastered nuclear technology – and it is widely accepted that the knowledge we have attained cannot be wished away.” If Zarif’s insouciance toward sanctions were to be believed, then it would seem that Iran hold the cards, but are for some reason gesticulating wildly, face-up and bumptious. Clearly, Zarif and Iran are not as benevolent as they would let on. Although Iranian leadership denies sanctions are the main catalyst for current negations, their impact has undeniably been a key instrument in bringing forth a foreseeable solution to years of tension and forced isolation. The interim agreement from November calls for the obligatory stop to near-20% enriched uranium; the dilution of half of Iran’s stockpile; to stop the commission of the Arak heavy-water reactor; and to allow daily inspections by the International Atomic Energy Agency (IAEA). A permanent agreement will likely address a further decrease in enriched uranium as well as allowing inspectors to visit military complexes. In return, sanctions will be eased on Iran. When examining this from a global business perspective, it is clear to see why sanctions have proved so effective in bringing Iran to the negotiating table. As the world economy works primarily in US dollars, sanctions can severely damage a nation’s economy by limiting trade. Iran has substituted oil to bypass this at times, but it is an expensive process. Current sanctions have negatively impacted any foreign direct investment coming into the country, as well as their trade in petrochemicals and precious metals. As a result, Iran’s annual gross-domestic product (GDP) growth rate (1%) currently lags behind other oil-rich nations (2.8% average). However, as sanctions ease, Iran could represent one of the most attractive emerging markets. Even with the sanctions in place Iran is still the world’s 27th largest economy, a similar size to Argentina and ahead of countries such as Austria and Thailand. Coupled with a sizable and well-educated population, MarketWatch estimates that Iran’s GDP could double in a relatively short amount of time. In essence, the figurative stranglehold sanctions that have been placed on the Iranian economy have limited its growth to the extent that ideological notions have been suppressed. Sanctions have worked with Iran primarily because of cooperation from countries such as Great Britain, Japan, and even Russia. As the international community readies itself to impose further sanctions on Russia, their recent success with Iran could serve as a warning in their effectiveness. Russia’s Deputy Foreign Minister, Sergei Ryabkov, has threatened using a change in stance toward the talks with Iran as a response to US-EU action against the resurgent regional power Still, the likelihood of that unfolding is minimal. Suzanne Maloney, Senior Fellow in Foreign Policy at the Saban Center for Middle East Policy, reiterates the consequence such an action would have on Russia’s diplomatic position, national security, as well as the insignificance it would have on the economy, highlighting minimal Iranian-Russian trade. Thus, if the Iranian example is anything to base assumptions on, Russia will be forced by economic sanctions, not to relinquish power in Crimea, but to curtail any future regional advancement. Of course, if Putin will value the health of the Russian economy over nationalist doctrine it is yet to be entirely deciphered. Interesting parallel between sanctions on Iran and Russia. Some other aspects why Russia cooperated on the sanctions towards Iran can be: 1) The end of embargo on Iran will reduce oil prices, which will affect Russia’s resource-based economy severely; 2) Russia and US might have traded Syria for Iran, i.e. Russia took a leading role in resolving the Syrian crisis and allowing Obama to save face, while allowing US to rebuild relationship with Iran. Mais en matière de politique internationale il ne faut pas avoir la vue courte. Surtout lorsqu’on est impliqué dans de nombreux systèmes d’échanges économiques, commerciaux, scientifiques et techniques, sans oublier les relations militaires, toujours fragiles. De ce point de vue, la Russie n’est pas le pays le plus vulnérable. Elle est loin d’être celui qui a le plus à perdre. Il faut donc bien réfléchir avant de la prendre à rebrousse-poil. This entry was posted on 28/03/2014 by ISIS Europe in Akash Radia, Contributors, Opinions and tagged EU sanctions on Iran, EU-Iran relations, Iran, iran economy, iran negotiations, Mohammad Javad Zarif, P5+1 group, Russia, russia sanctions, Sergei Ryabkov, us-iran, us-iran relations, vienna negotiations.